Be the ball! 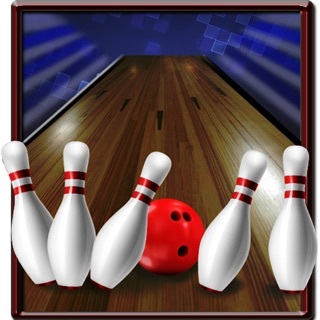 Bowl around the richly imaginative six fantasy lanes of the original attraction game: the eerie Classic lane, ancient Rome, an idyllic Forest, rocking High Seas, the streets of San Francisco and the bright night lights of Tokyo. In addition, this licensed remake features several all-new lanes: the Snowpark lane, the Campfire lane, the Penelope lane, the Mushroom lane, and the Grassy Pier. Enjoy the scenery, but remember to head for the pins! 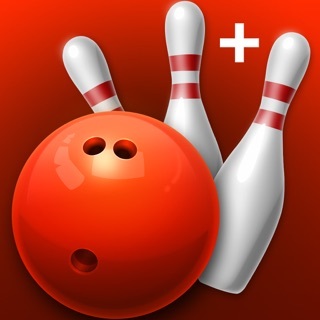 Swipe up along the screen to push the bowling ball forward, left and right to roll horizontally, down to push the ball back. Tip: Sweep along the length of the screen for a more powerful push. 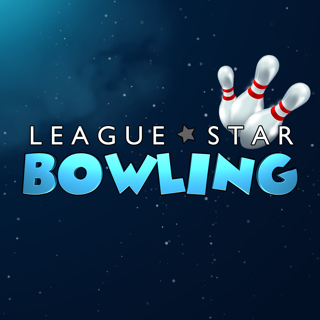 Play 1-4 players in the original Arcade Mode or quick-play with your Game Center account, featuring a leaderboard for each lane and up to sixteen achievements for completing lanes, consecutive strikes and bowling a perfect game! MacLife lists HyperBowl as one of the Greatest iPhone Apps of 2009 - "Sure, there are a lot of bowling games for the iPhone, but none of them match the legacy that HyperBowl has. 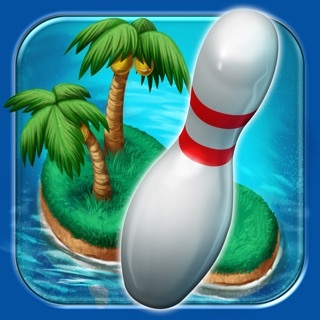 The gameplay feels organic, with its beautiful outdoor themed bowling lanes." SlapApp says "HyperBowl definitely portrays a retro arcade feel that’s consistent with the original, and offers a uniquely different game-play that other traditional bowling apps simply do not offer." Smartphone Review - "HyperBowl is one wild bowling experience." SmartAppDevelopers - "Easy to play yet challenging. Great setting design." HowsMyApp rates HyperBowl 5/5 for Entertainment and Value. Slide Gamer - "If you’re a fan of the original HyperBowl then there’s no doubt that you’ll love this portable version." 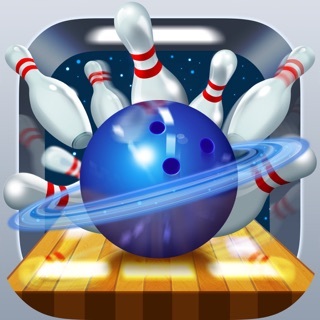 iViewApps - "HyperBowl is a 3D bowling app that reinvents the bowling game!" NineOverTen - "an interesting diversion from typical bowling games on the iPhone"
Unity Insider - "This exotic mixture of parkour and bowling offers everything a casual gamer needs." My five-year old nephew - "Good!" Visit out Facebook page http://hyperbowl.rocks/ for the latest news. HyperBowl is a trademark of Absolute Certainty Inc..
Ischa Bijl, Raymond Chow, Frank Lin, Lien Luong, Adam Pavlakos, Ian Schwabe, Harrison Sotoloff, Elijah Taylor. Localization assistance provided by Veronique Gauthier (French), Ubinuri (Korean) and Raymond Chow (Chinese). This version of HyperBowl is built with the original HyperBowl art and sound assets licensed from Absolute Certainty, the Unity game engine from Unity Technologies, MacXWare FontLibrary, Noto fonts from Google Fonts, Selected U3D Japanese Font from Masashi Wada, Particle Scaler by Roel Ezendam, Real Flames by BlackFire FX, Lens Flare and Simple Particle Pack by Unity Technologies, Flocks package from soodaq, Finger Gestures by Fatal Frog Software, Lean Localization from Carlos Wilkes, Universal Accessibility Plugin from MetalPop Games, iTween by Pixel Placement and unimgpicker by Kakera Games. New lanes utilize Mushroom Land from Manufactura 4k, Penelope from Unity Technologies, Campfire Pack from Dreamdev Studios and the Cartoon Snowboard Funpack from Stefan M.
I used to play Hyperbowl on my PC as a kid...amazing as it was, I grew out of it but no longer could find the CD ROM recently to play it again. Last I played it was about 9 years ago. I’m actually really happy there this game is now an app! Brings back many memories! Thanks for the great review! I'm glad you're enjoying the game! As a fan of the original Hyperbowl I have been quite pleased with this port-everything in the original and a little more is here and it plays very well on my iPod Touch 4G with no frame rate or stability issues, but on a couple of stages-namely the snowpack-there are some scoring glitches, oftentimes it doesn't give you the correct score for each shot. 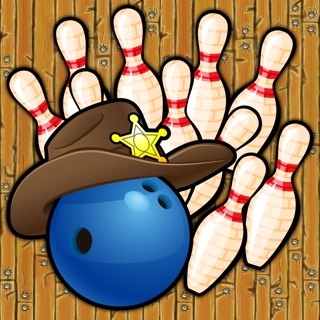 It also doesn't tell you that you can't get some achievements by bowling 3 strikes in a row if you only do it in the 10th frame. Other than that, no complaints, a near-perfect port of the arcade classic, all that's missing is the bowling ball control. I only give it 4 stars because of the scoring issues on snowpack, I'll give it 5 stars when/if it's fixed. I remember playing this at Jillian's over a decade ago (before Dave & Busters bought it and gave me all the incentive to stop going to the arcade), and having a blast. Unfortunately, time hasn't been kind to Hyperbowl. While I understand the need to cash-in on the whole "retro" craze, I'm disappointed that the developer/publisher chose not to update the woefully inadequate graphics textures and object geometry to provide a much-needed facelift. Graphics chips and CPUs are substantially better than they were when this games was originally created over a decade ago, and RAM is also dirt cheap (unless Apple's providing it, but I digress...). Beef up the graphics, clean up the stray pixels, and produce some additional tables (free or .99 each) and sales of this game would likely increase dramatically.